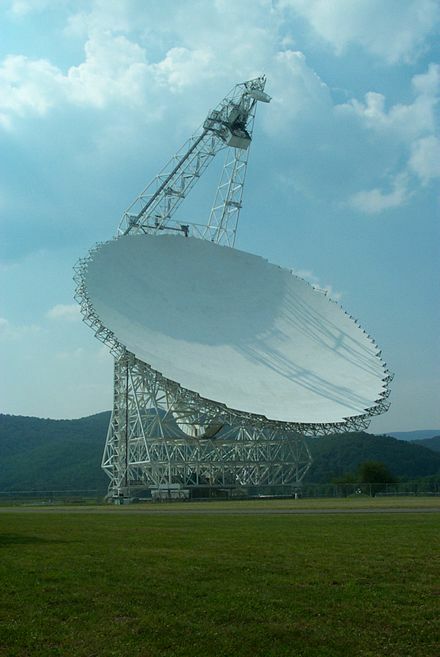 The Green Bank Radio Telescope, at Green Bank, West Virginia, USA, the largest fully steerable radio telescope dish in the world. Be careful what you wish for! Of course the idiom refers to the fact that strong desires for something may lead to unintended or unpleasant consequences. In regards to that, everyday I read somewhere in the news that scientists are diligently searching the heavens for intelligent signals from alien worlds. Years ago, the International Academy of Astronautics established protocols for announcing to the world the discovery of an alien signal. Now they worry that someone desiring fame and fortune may not adhere to those old protocols, and prematurely announce to the public that our scientists have established contact with an alien civilization somewhere in the cosmos. What will contact mean, and how will alien contact change our world? Those are very profound questions, and I believe the Bible has the answer. Of course science does not recognize Scriptural warnings, that is expected. But there is a serious danger answering an alien signal. Even Stephen Hawking has warned on several occasions the danger we face if we come into contact with an advanced alien civilization. The greater danger is that scientists ignore the deep implications for all of us: the possibility of a powerful deception from a dominate alien intelligence. The Bible repeatedly warns that in the last days a Strong Delusion will come upon the people of our planet (2 Thess.2:11). Not normal deception mind you, but a spiritual influence that will blind everyone to the truth: that the aliens we face are not extraterrestrial beings as depicted in popular culture–these beings rebelled against Almighty God sometime in the distant past; and when they come to Earth, they come with a powerful delusion. The Fallen Cherub has a deception for the human race that will boggle the mind–and in fact, that is what it will do through a spiritual force and occult initiation called the Image of the Beast. Be careful what you wish for. You may not like the aliens that answer the call. I am working on a new book, and it is taking longer than I thought. I have the cover art done, and it is stunning to say the least. In the meantime if you would like to learn more about the alien deception and its relation to Biblical prophecy, I recommend my book Alien Antichrist: The Terrifying Truth About UFOs and Aliens, Antichrist, and the End of Days. You can get a copy at Amazon or Barnes and Noble.